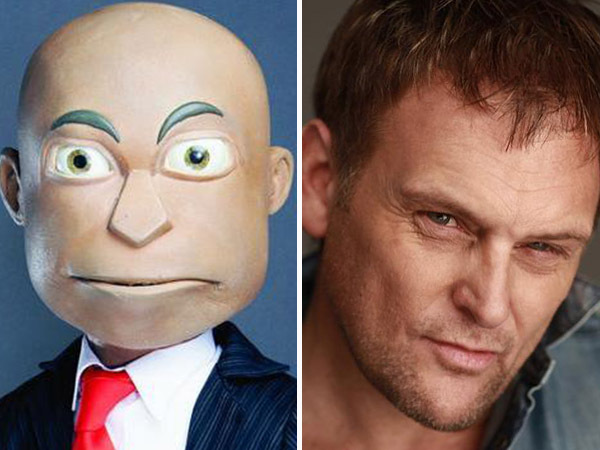 There is no basis for Afrikaans singer Steve Hofmeyr's attempt to seek a permanent court order against puppeteer and ventriloquist Conrad Koch, the Randburg Magistrate's Court in Johannesburg heard on Thursday. "We submit that there is no basis for confirming any order against the respondent," Steven Budlender, for Koch, told the court. "We submit that Hofmeyr is a public figure. Through his public and robust advocacy of racism he has invited a robust response." Hofmeyr was accordingly required to display a greater degree of tolerance to criticism of his views than ordinary people, said Budlender. Dan Roodt, who is not a lawyer, had brought an application for an interdict on behalf of Hofmeyr earlier this month. Koch is challenging the interim court order against him. Budlender said Hofmeyr wanted to have his cake and eat it. "He wants to continue making provocative statements and when people criticise, he says they're not entitled to criticise him and therefore hides behind a protection order." Granting a permanent order against Koch would prevent him and his puppet "Chester Missing" from enjoying freedom of speech for five years. "There has to be exceptional circumstances where such an order is granted, and your worship we're not talking about a boyfriend who harasses and abuses an ex-girlfriend here," he said. He said Roodt, Hofmeyr, and others hid behind the "rooi gevaar" (communist threat) tactic, and were convinced there was a conspiracy by white liberals and all kind of Marxists against them. Hofmeyr tweeted on October 23: "Sorry to offend but in my books blacks were the architects of apartheid. Go figure." Budlender said the tweet implied that black people brought apartheid upon themselves. "Hofmeyr is well known for making controversial statements, and has publicly and vociferously supported rightwing politics." Hofmeyr posted racist statements on Facebook in 2010, said Budlender. "Writing in Afrikaans, Hofmeyr commented that 'Blacks, God knows, probably not all of them, but most of those I observe, feel justified and entitled in everything... from quotas/low matric marks to land rights/brutality'," Budlender read out the excerpt. Koch, in response had launched a civil campaign with his puppet Missing, against Hofmeyr's racism, he said. The campaign publicly denounced and ridiculed Hofmeyr's views and encouraged others, including companies to distance themselves from Hofmeyr's views. Budlender quoted various controversial statements Hofmeyr made recently. "My client did not threaten boycott or any other form of reprisal against the companies, although we submit that would have been permissible and would not have been prohibited by the harassment act." Budlender referred to a Constitutional Court judgment in the Laugh it Off case, which concerned T-shirts which used satire and parody to take on SA Breweries' trade mark for Carling Black Label beer. "Judge J Sachs ruled... a society that takes itself seriously risks bottling up its tensions and treating every example of irreverence as a threat to its existence. Humour is one of the solvents of democracy," Budlender said. Koch made defamatory remarks against Hofmeyr but these were not unlawful, Budlender said. The application should be dismissed in its entirety, and with costs against Hofmeyr. "The application has no merit. Secondly, it was an abuse of process, brought for the ulterior purpose of trying to silence the respondent, while Hofmeyr continued to use social media platforms to espouse his racist views," he said.